We provide the very best dog home boarding near you in the Cotswolds. Dogs deserve a holiday too! Hello, we’re the Barking Mad Cotswolds team and are delighted to be able to provide the unique Barking Mad home dog boarding service in the Cotswolds. We are proud to say that we are rated Number 1 in pet care by the online review company Trustpilot which is a real testament to the service we provide. Our dog sitting service is quite simply the very best canine care and alternative to dog kennels the Cotswolds provides. When their owners are away on holiday or business, dogs are carefully matched to suitable hosts and enjoy a holiday with them. 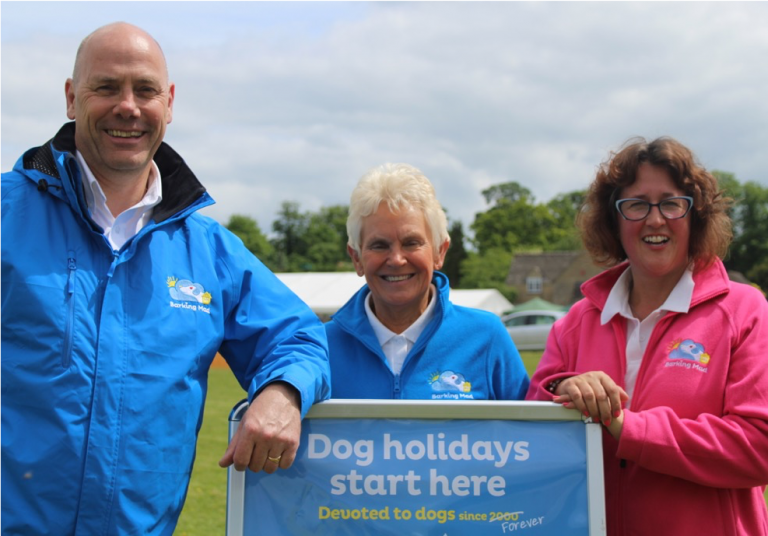 We have a large and varied team of fantastic hosts who live around the Cotswolds who are passionate about dogs. Our hosts have joined Barking Mad for a variety of reasons. They may have a dog themselves who thrives on the company of other dogs, they may have lost a dog at some time and just feel that they cannot commit fully to owning a dog of their own, or maybe they are retired or work at home and love having a part time dog for lots of walks and fun. When we talk to customers they speak so highly of the service, and feel that their dogs have a more enjoyable holiday experience than themselves, avoiding the inevitable airport stress that we have all experienced! Barking Mad dogs receive a 24/7 bespoke service that caters for their every need. They take all their home comforts on holiday with them such as bedding and their favourite toys – they even present their owners with a postcard on their return! Dogs of all shapes and sizes are catered for, and those with special requirements who may be on medication or special dietary regimes are particularly welcome. If you feel that your dog deserves the holiday that they would choose themselves, or you would like to become a Barking Mad host, then please give us a call on 01285 711650. 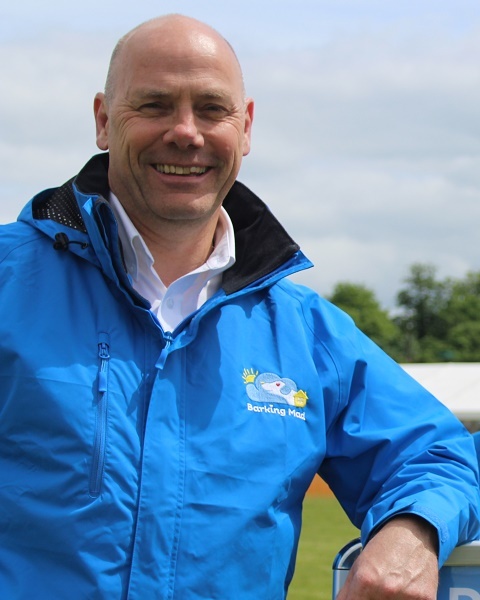 The team consists of Alun Davies – the owner of the business who oversees the operation as a whole, as well as providing day to day contact for customers and hosts, managing the diary of bookings and host availability, and arranging pick up and drop offs for our valued doggy customers. Two new members of staff have been appointed and as we strive to provide the Barking Mad service to more new customers around the Cotswolds. Alison Parker joined the team in May 2015 (in pink in photo) and lives on the edge of the eastern side of the Cotswolds. She manages social media, show/fete attendance and online marketing. Alison has also been a host for us for the past two years and loves all the dogs that come to her for a holiday and it’s safe to say they love her too! Rosie Murton joined in March 2017 and she lives out by the Severn Estuary, so right out at the western edge of the Cotswolds. Rosie looks after face to face marketing and brand awareness. Rosie is the proud owner of Inca who is an adorable Retriever/Labrador Cross. Now with hundreds of doggy customers, the business is going from strength to strength and you can now see us on TV! The whole team is working closely together to ensure we provide the best possible service for both human and dog customers.